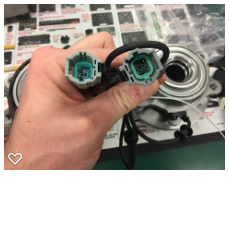 I have searched high and low on the interwebs and there are very very few reviews of the cheap Chinese 1-A Auto hub assemblies out there. I am sure it is probably due to the stigma of buying such cheap hubs but the reality is there is a market and a need for low cost parts, after all not everybody can afford Timken etc. 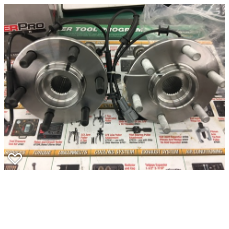 As such I decided to try the 1A Auto Hubs and do a report on install and function and even include some comparison pictures comparing them to a typical pair of auto shop house brand hubs. I am mechanically inclined so I fully understand the risks associated with a key component like hub assemblies-so please don't use this post as a means to bash or belittle people with honest questions. I am not a 1A auto employee and have nothing to gain by this review. 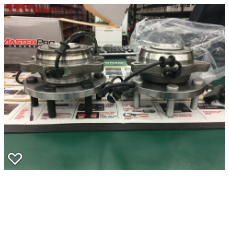 In this case you will see the compared assemblies are Master Pro from O-Reilly Auto, street price of $165.99 each. 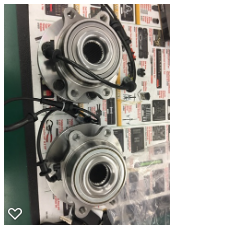 The 1A Auto assemblies were $102.95 for the pair, lifetime warranty, brand TRQ (Total Reliable Quality). Install went much like any hub assemblies, a lot of grunt work. I had to use a puller due to the rust. The reason for the replacement was a bad shimmy while turning the wheel at low speeds both left and right. Remember, a bad wheel bearing won't always be a groan or a whine and not all bad wheel bearing will manifest with movement on the tire (tire off the ground, grab at 12 and 6 position and rocking the tire). As many YouTube videos will attest, a good way to tell which side is bad it to find an empty road and swerve the vehicle left to right to determine which direction causes the most noise ie left hand turn = more noise = right hand bearing. Finally, bearing should be replaced in pairs. The new bearings were virtually identical to OEM though the lug nut bolts are noticeably cheaper. Similarly, the electrical connection is slightly thinner and not as well built - which tells me I will have to watch for ABS issues if the connections fail. The cast marks are more pronounced on the 1A hubs and there seems to be a bit less metal overall. Spinning by hand and once installed the 1A hubs sound like OE, quiet and smooth. Time will obviously tell how well they hold up. Install went perfectly, assemblies were square and smooth and fit the R51 as expected. Bolting the hub down, I did notice a small discrepancy on the location of the mounting holes but nothing that was concerning. So far we have put 1500 miles on these assemblies including a trip to Las Vegas and back (12 hours total driving at 85 MPH average). So far the hubs sound and feel smooth. Shimmy disappeared completely and truck is noticeably quieter overall. This does not matter much but I did use 4low and 4high (4x4) with out any issues. Again, only time will tell on how well these hold up but I figure with the lifetime warranty, I will only be out a couple of hours if/when they need to be swapped out. Remember to use your best judgment and ask for help. I always recommend Timken and Moog myself but like any brand there will be occasional failures. So far I feel like with these TRQ, 1A hubs you would not be losing out on buying these over virtually any store brand I have seen and would do well enough in a pinch. Just my 2 cents. I was able to snag a genuine Nissan hub assembly for an R51 Pathy that was dealer overstock on Ebay for $99 shipped not long ago. For those that are wondering, Timken makes the OEM part for Nissan.